Windows users are familiar with Recycle Bin. 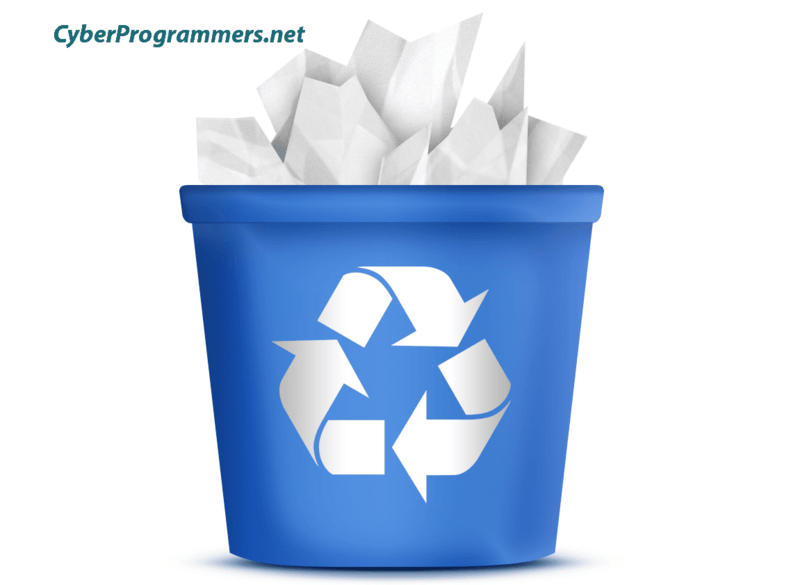 You delete the files and move them to recycle bin, so you can easily restore the files or permanently delete. But users like me really don't need the recycle bin, because if I don't need a file I'm deleting it permanently. 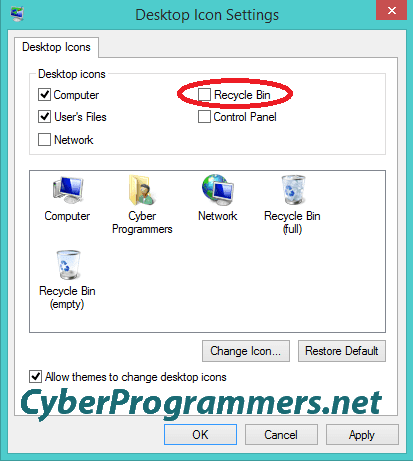 And in this post, I will show you how to remove the recycle bin icon from the desktop. 1) Right-click anywhere on the desktop and from the context menu select Personalize feature. 2) In the opened window find and select "Change Desktop icons". 3) And here you need to un-check Recycle Bin and press the OK button. To get back the icon, check the Recycle Bin option from the settings.